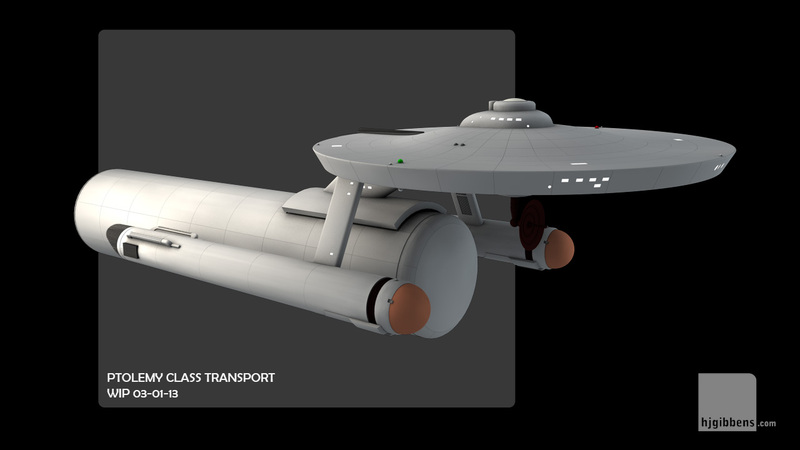 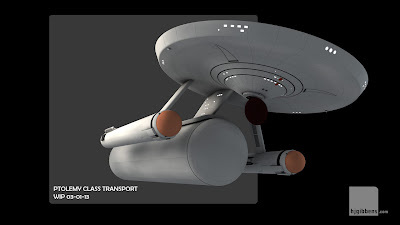 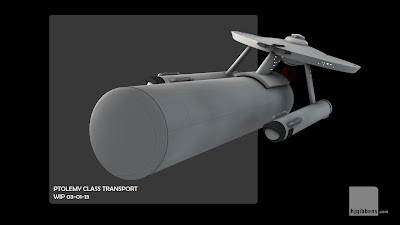 Just to add to my transport ship pool, here's the early draft of FJ's Ptolemy class transport. Seen a variant on this design that uses the expanded engineering deck seen on the Coronado class featured in an earlier post - makes sense that this design could do with a beefed up engineering section to cope with the extra demands that extending a warp field around the containers would produce. May render out that variant to see how it looks.